Chances are, you are reading this article because you want to know whether you really need to hire a lawyer to draft your will. And to be honest, I bet you already know that answer to that question, or else you wouldn’t be reading through an estate planning lawyer’s website. Listen, if you are hell-bent getting a Will drafted on the cheap, there are many websites that will do this for you for much less than the cost of hiring an estate planning lawyer. The question is, in this age of technology and information, should you hire a lawyer to help you draft your Will, or should you find some forms online and do it yourself? As I said before, you probably already know the answer to this question. But I’ll humor you and let’s dig a bit deeper. First, let’s talk about what exactly a Will (also called a Last Will and Testament) does and doesn’t do for you. In other words, do you even need a will in the first place? Most lawyers will tell you that everyone needs a will. And for the most part, this is correct. Without going into the very few exceptions to this statement, let’s just assume that yes, you DO in fact need a will. Now, there are several things that a Will can do for you, and many more that a Will cannot. Let’s start with what a Will can do for you. Is a DIY Will Ever Ok? 1. Divide Up Your Stuff when You Die. When most people think of Wills, they think of the document that says who gets what after you die. Basically, in your will, you can say who gets all of your personal belongings, your house, the car, your antiques, etc. You can give your belongings to either individuals or charities. Your Will is the document that says who gets all of your probate assets. 2. Allow You to Appoint a Personal Representative of Your Estate. When you pass on, you will need someone to manage your estate. This means, potentially, hiring a probate lawyer, gathering up all your probate assets, valuing your assets, and then dividing everything according to your wishes. 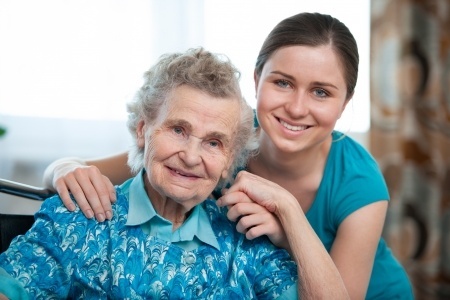 The personal representative (or executor) is this person, and you will name them in your Will. This is an important decision and shouldn’t be taken lightly. An estate planning attorney can help you determine who this person should be. 3. Allow You to name a Guardian for Your Children. Your Will may be one of the only opportunities for you to name a guardian for your children. This is the person or persons that will raise your minor children when you are gone. This is another extremely important decision that must be made when you are drafting your Will. 4. Allow Your Personal Representative to Waive Bond. In some states, including North Carolina, the personal representative may sometimes have to post a bond before they can be appointed to represent your estate. If you pick someone with bad credit or who can’t otherwise afford to post bond, then this can be an embarrassing situation. In your will you can waive this requirement, should you choose to do so (and most people do). This list is not all inclusive, but you should be aware that your Will only does all of these things after you die. If you are incapacitated, and can’t make decisions or divide property on your own, your Will is essentially meaningless. Now that you know what a Will can do for you, let’s discuss some of the things that a Will cannot do for you? 1. A Will Can’t Protect You in the Event of Your Incapacity. That’s right, as I mentioned before, a Will only takes effect in the event that you die. So if you get in a car crash and fall into a coma, what you said in your Will won’t help your loved ones to access your cash to pay bills, make medical decisions on your behalf, or appoint temporary guardians to care for your children. 2. A Will only Divides Your Probate Assets. This could be a benefit or a drawback depending on how you look at it. A Will can only divide up assets that end up in your probate estate. Many people use “transfer on death” provisions and joint tenancies to keep (sometimes inadvertently) assets out of their probate estate. In addition, life insurance proceeds and retirement benefits are typically paid out according to contract principals based on the designations that the custodians of these funds have on file when you die. In certain situations, your intended beneficiaries (i.e. the people you named in your will to receive your probate estate) could get cut out of a large portion of your estate if you have failed to update your beneficiaries. This can cause confusion and resentment if you left your entire retirement or life insurance policy to an ex-spouse or someone else and then failed to update your beneficiary designations. 3. A Will Won’t Protect You From Estate Taxes. Even though the vast majority of Americans will never have to worry about paying estate taxes, I’m still amazed at the number of people with sizable estates that have done no planning. Using an estate planning attorney to help you draft your estate plan can help you to ensure that your loved ones will never have to worry about estate taxes unless you launch Snapchat and get an $800 million bonus for taking the company public. Believe it or not, there are situations where a DIY Will might be the right choice for you. However, you must understand the implications when you decide to draft your own Will. You must understand that you drafting an important legal document without any legal advice or guidance. So take this advice with a grain of salt. If all of the following facts apply in your situation, you may be able to get by without hiring a lawyer… MAYBE. You don’t have any children. You have less than $25,000 in investable assets, including retirement funds. You don’t own any life insurance. You must be able to state affirmatively that all of the above apply to you. If even one of the above statements doesn’t describe you, i.e. you are married or you do have a home or children, then you should think carefully about whether you can really draft up your own Will. And even if all of the above statements do apply to you, I would still encourage you to talk to an estate planning lawyer to get all your questions answered before you move forward. Every State Has a Different Set of Rules. What will fly in North Carolina (no pun intended) is vastly different than what is acceptable in Florida or California. Each state has its own unique set of laws regarding what should be written into your Will and how the Will should be properly executed. If you execute your Will incorrectly, then it could be deemed invalid or cause other problems. A DIY Will May Not Dispose of Your Entire Estate. A “fill in the blank” form Will may not properly take into account everything you own. If that is the case, then you may end up with a partial intestate estate, which is what you were trying to avoid by executing a Will in the first place! You Don’t Have Any Legal Guidance. As you start to work on your own Will, it is very possible, in fact highly likely, that you will have questions about how to properly fill out whatever form you find online. A licensed estate planning attorney can not only help you to answer these questions but can also suggest options that you may not have considered and which may work out better for your family. You Are Not Protected in the Event of Incapacity. When you work with an estate planning lawyer, you will get all the documents you need to make sure your family and loved ones are protected in the event of your death OR incapacity. With a DIY Will, you might get some peace of mind that you have handled your affairs, but chances are you will miss something along the way. You Increase the Risk that Your Will Could Be Challenged. A Will challenge is far more likely with a DIY Will than with a lawyer-drafted Will. This is because you are more likely to make mistakes that could invalidate the Will. If a Will challenge is even a remote possibility with your family, then this will cost your family time, money and bring your estate proceedings to a screeching halt. The cost of money and time to your loved ones can be tremendous if your Will does not properly convey your wishes. At The Hart Law Firm, we only work with people who stand to spend less money now on planning than it would reasonably cost their families to deal with their estate after they are gone if no planning were done. 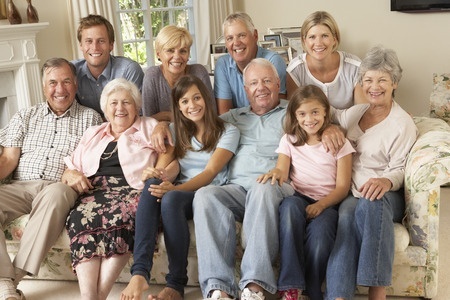 Proper estate planning is a tremendous gift to your loved ones. And even though you will never see the benefits, your spouse and children most definitely will. If you are thinking about preparing a DIY Will but you would like to discuss your situation with an estate planning lawyer first, we are happy to help you. You may reach our office by calling (919) 883-4861 or fill out our online contact form.